So far our focus has been on taking artists under our brand in the aim to fine tune them and put them out to the big wide world in order to gain recognition for their love of music and their talent. 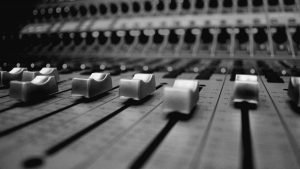 Our team provide the recruits with access to a studio to record their sound and we have specialists who are able to mix and master sound to a high standard of quality. We feel that when the artists are happy with the end product they are motivated to work harder to either maintain their standard or work harder to improve it. We like to encourage those who are willing to put in the work.